Mexico City has the classic Marmite effect on those who visit; some hate the noise, the crowds, the dirt and the traffic, whilst others fall in love with its high energy street life, its edgy urban art scene and its unpretentious grittiness. The later will probably want to spend their time exploring the city’s bohemian neighbourhoods, drinking tequila or mezcal in downtown cantinas (bars) and discovering the more obscure sights around. However even those that find themselves overwhelmed by the city will find plenty to keep them happy for at least a few days, diving into the relative quiet and calmness of the many museums (more than anywhere else in Latin America) and indulging in cakes and coffees in the chic coffee houses that are coming to define a new, more modern Mexico City. Get to know Mexico City’s edgy urban art scene and find your feet in the coolest districts around on a short walking tour of the La Roma, Centro Histórico or Condesa districts. Mexico City has a long history of muralism, started in the post-revolutionary years of the 1920s, and it continues to this day. Walk It. tours introduce you to the parts of the city that guidebooks can’t cover because the best murals come suddenly and might not stick around long, as well as the culture and stories behind the art. Located on an atmospheric side street just off the Plaza de la Constitución is Café la Blanca. The friendly staff and slightly off set location make it a good place to have a relaxing sit-down before going full tourist and exploring Centro Histórico. Whether it’s an authentic sit-down Mexican meal, a quick light bite or maybe just a coffee you fancy you can get them all from Café la Blanca and at backpacker friendly prices. Of course no trip to Mexico City would be complete without the classic tourist pastime of sightseeing. Stock up on vague and ambiguous maps devoid of street names but filled with helpful pictures of the sights so you know what you are looking for and hit the pavements. Plaza de la Constitución is the main square at the very heart of Mexico City and the perfect place to begin, followed by a tour of Palacio Nacional(pay attention to the murals) and a visit to the Templo Mayor Museum just a stone’s throw away. Mexico isn’t just about tequila and mariachi bands but it seems wrong not to experience either when you’re actually in Mexico, and Salon Tenampa in Plaza Garibaldiis just the place to do so. This decidedly touristy cantina may look like a cliché tourist trap at first glance, but it is actually a shrine to mariachi, and nearly every famous mariachi singer has performed here since it opened in 1925. Grab some food, a few drinks and settle in for a while before heading out to the clubs or getting an early night. Downtown Bedsproudly calls itself the trendiest hostel in Mexico City, and we are finding it hard to disagree. The reclaimed 17th Century palace that the hostel inhabits is right at the centre of the city, in the Centro Histórico district, and is owned by a company more famous for its upscale hotels than its hostels. This certainly shines through, with cool modern rooms filled with character, and a welcoming vibe, but a bed in one of the shared rooms won’t require you to sell your shoes, and even the private luxury rooms are surprisingly affordable. This is the house where renowned Mexican artist Frida Kahlo was born, lived and died. The Casa Azul (blue house) is now a museum dedicated to the artist, her husband Diego Rivera (who painted the murals that decorate Palacio Nacional– told you to pay attention to them) and their stormy relationship. Traces of other famous personalities connected to the couple are also visible; portraits of Lenin and Mao both hang in the bedroom, and there are trinkets and pieces of art on display all over. The décor may be a little kitsch but don’t let that put you off – La Bipois a great place to try the local fresh fish options. The cantina can get busy at lunch times but the food is worth the wait, and with daily specials for only 85 pesos it is a bargain. Grab a seat, order whatever traditional Spanish home cooked dishes are on offer that day and wind down over a drink or two before continuing your sightseeing for the day. 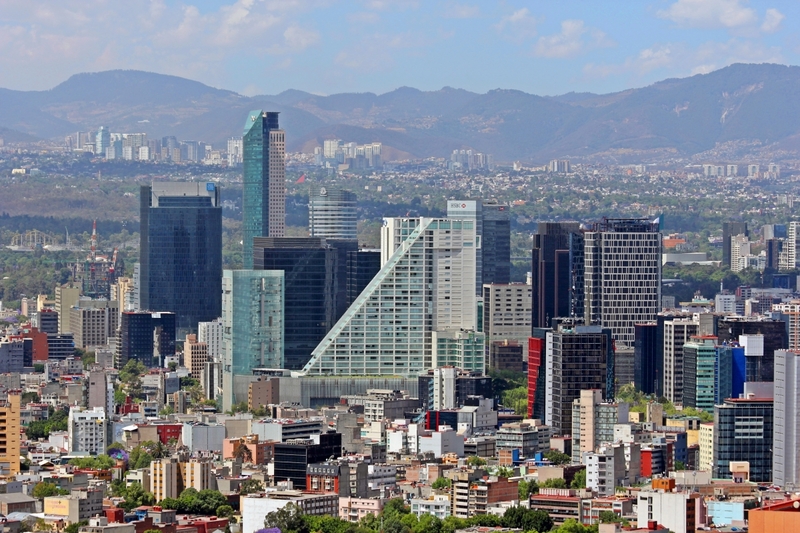 Mexico City has more museums than any other South American country so take your pick! There is the huge Museo Nacional de Antropología, the Museo Nacional de Arquitectura in the iconic Palacio de Bellas Artes, the Jumex Museum housing the largest collection of modern art in the continent, the Mucho Mundo Chocolate Museum where you can pick up some ‘souvenirs’ which presumably disappear about the same time as you get peckish, and many, many more.